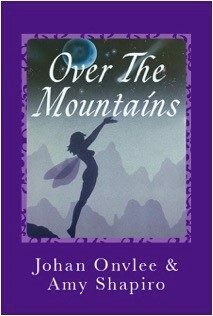 OVER THE MOUNTAINS: A MYSTICAL ADVENTURE, by Johan Onvlee and Amy Shapiro ~ A story of magical souls who transcend time, vanquish evil and fly over volcanoes in a quest for love, reborn into new dimensions. Whimsical creatures add charm amidst benevolent forces, mixing fantasy and reality in this hilarious, intriguing and touching walk-about fairy tale. 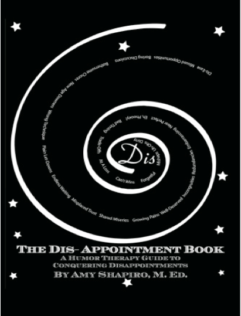 THE DIS-APPOINTMENT BOOK: A HUMOR THERAPY GUIDE ~ If you’ve let disappointment steal your happiness, this book is for you. “A guide to see disappointments in perspective. With humor and serious advice, the author reminds us; we can use our disappointments in creative ways and release ourselves from their disabling grip.” Rev. Dr. Doris Hunter.